Patton State Hospital opened in 1893 in San Bernardino, California. 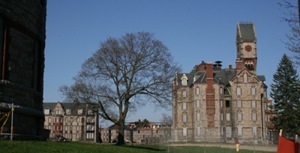 It was originally designed as a Kirkbride building, though these original buildings have mostly been demolished. It now operates as a Forensic facility with over 1500 beds.